Looking for a summer getaway at a great price? Our June 2021 Florida holiday is the answer. Fly direct to Orlando from Gatwick, Glasgow or Manchester. 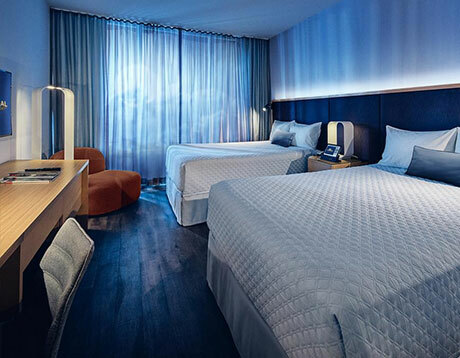 Pick up your hire car and head off for a two week stay at Universal’s Aventura Hotel. This June 2021 Orlando holiday is based on a family of two adults and two children. If you have different needs, let us know. 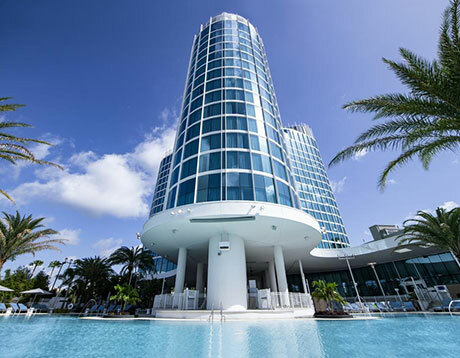 We can put together any combination of flights, car-hire and accommodation for a custom-made June 2021 Florida holiday. Florida flights are good value throughout June. Mid-week flights offer the best value – especially Tuesday and Wednesday departures. Direct flights from either Manchester, Gatwick or Glasgow are included in this June 2021 Florida holiday. If you require a connection from your local airport, get in touch. Many UK airports have convenient schedules including, Aberdeen, Isle of Man, Jersey and Belfast. The flight is around nine hours; an early morning departure will arrive in Orlando around midday. We typically book with Virgin Atlantic or British Airways. Both carriers have an excellent reputation. Onboard meals and drinks are included. Seat-back entertainment screens help pass the time. Cabin crews are helpful and well-trained. Visit our June 2021 Florida flights page for advance fares and information. 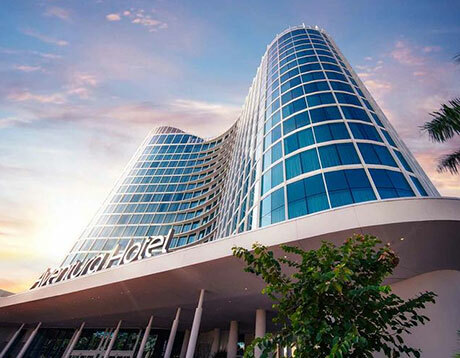 Opened in August 2018, Universal’s newest hotel is a sleek, stylish and contemporary addition to the Orlando skyline. The location is very convenient – all three Universal theme parks are accessible via connecting pathways. Free shuttle buses are available if you prefer not to walk. The generously-sized rooms provide the ideal sanctuary from the bustle of Orlando’s attractions. All the usual amenities are included; bathroom, free Wi-Fi, coffee maker, hairdryer, iron, ironing board, mini fridge, HD TV. Why not treat yourself to a Skyline View Room near the top of the tower? There are several dining options. 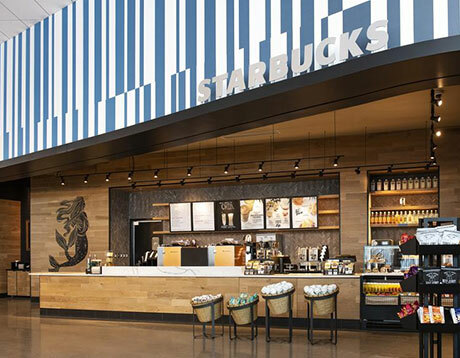 Start your day with a tea, coffee or snack from Starbucks in the hotel lobby. The Urban Pantry provides fine-dining and international flavours for breakfast, lunch and dinner. The outdoor bar is perfect for a relaxing day by the swimming pool. The rooftop bistro bar offers classic dishes and cocktails, all served with stunning views of Universal’s theme parks. 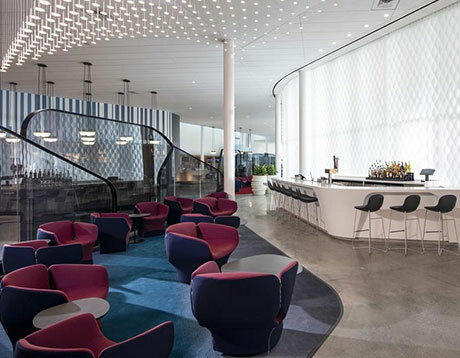 The lobby bar is comfortable and relaxed – perfect for an after-dinner drink or two. Aventura has already racked up excellent reviews on TripAdvisor. This holiday includes two weeks in a Standard Room but if you have a different preference, let us know. We can put together the ideal June 2021 Florida holiday package to suit you. Car hire in Florida is good value. We deal with several suppliers, including Avis, Hertz, Dollar, Budget and Alamo. Let us know of any preferences. Vehicles are pick-up and drop-off at the airport. With nine hours of sunshine every day and highs of around 32C/90F, Florida is hot in June! If you fancy a dip, sea temperatures reach highs of 28C/82F. The odd tropical shower is brief but heavy. Flights are released 11 months prior to departure, but it’s not too early to book your June 2021 Florida holiday. We have an excellent advance price – book now with a deposit of £100 per person. Balances are due 90 days before travel. If Universal’s Aventura Hotel doesn’t appeal, don't worry. We book all the popular hotels and villa resorts. We can combine flights, accommodation and car hire to suit your needs. Call us on 01934 319 851 or complete our online enquiry form for a quote. All our June 2021 Orlando holidays are ATOL and ABTA protected. Florida has so much to offer, it's hard to know where to stay! If you like the sound of a June Florida holiday but can't decide on accommodation, don't worry. Advance book your June 2021 flights now and plan your accommodation later.